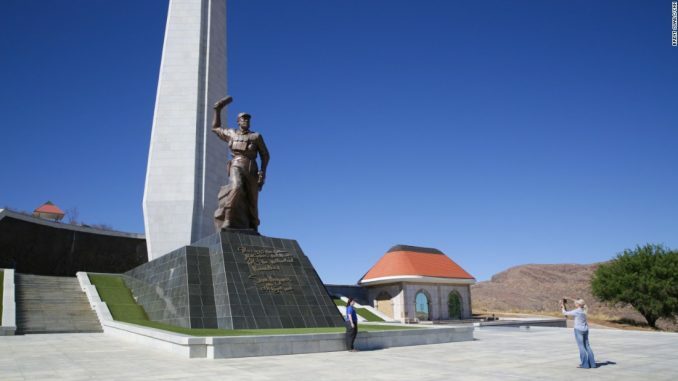 The Hero's Acre statue in Namibia. Windhoek, Namibia (CNN) Heroes’ Acre looms on a hill overlooking Windhoek, Namibia’s tidy capital. Under a brilliant blue sky, a series of granite steps slope upwards in a wedge toward a triumphant bronze statue of an unknown soldier. In one hand the liberation-struggle soldier carries a Kalashnikov rifle. In the other, he’s throwing what looks like a Soviet-era stick grenade. Across Africa from here to Gaborone, from Luanda to Dakar, governments have been quietly doing deals with the North Korean state for years. And as North Korean leader Kim Jong Un marches ever-closer to arming an intercontinental ballistic missile with a nuclear warhead, United States and United Nations investigators are looking a lot more closely at Pyongyang’s African connection. The UN says many of the contracts are with Mansudae, a North Korean state-owned enterprise and a cash cow for the rogue regime. “This money is highly significant,” said Hugh Griffiths, the coordinator of the UN Panel of Experts on North Korea, the body charged with monitoring sanctions enforcement on the country. Frequently, the contracts involve monuments like Heroes’ Acre. The statues can be gargantuan — the African Renaissance Monument in Dakar is nearly 40 meters high (160 feet). They commemorate liberation heroes and independence movements and resemble the statues of Kim Il Sung or Kim Jong Il, North Korea’s previous two leaders and the grandfather and father of Kim Jong Un. Griffiths says tens of millions of dollars are being made by Mansudae in Africa. “North Koreans can make a little money go a long way,” said Griffiths. Multiple attempts by CNN to reach Mansudae in Namibia through phone numbers listed by US Treasury sanctions were unsuccessful. A representative of the North Korean Embassy in South Africa, which has allegedly acted as a transit point for illicit cash in the region, refused to respond to questions about Mansudae. Namibia, for its part, went all in with North Korea. There’s the statue of Sam Nujoma, Namibia’s founding father, holding the constitution in front of the gold-tinted National Museum (known as the “percolator” by some locals for its unusual shape), and the recently constructed presidential palace with a giant brass marshal eagle on a pedestal out front. All were built on contracts with the rogue regime. The Namibian government admits they had contracts, but said they did nothing wrong. “All of these were agreed before the sanctions by the UN. But when the sanctions were imposed we had to comply and then we had to cease all the contracts, we had to terminate the contracts we had with North Korea,” Namibia’s Deputy Prime Minister Netumbo Nandi-Ndaitwah told CNN. 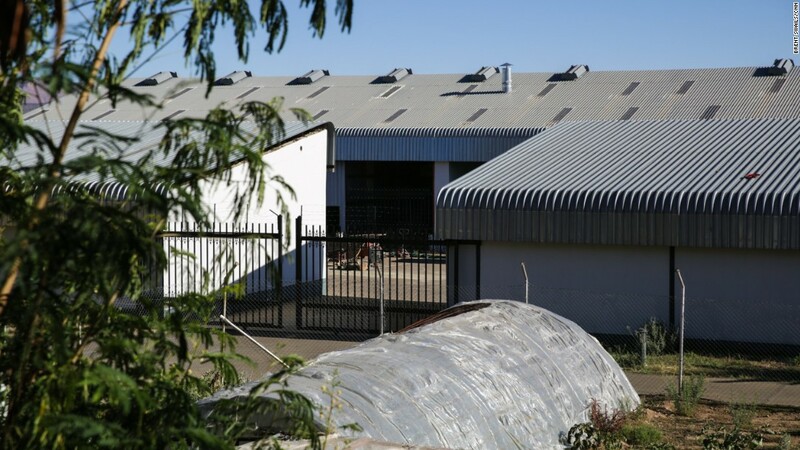 Just outside Windhoek’s picturesque downtown in an industrial area near Namibia’s largest brewery sits a sprawling warehouse complex guarded by closed circuit television cameras and high fencing. With garish lions standing guard at the gate and animal scenes painted on the front wall, it could easily be mistaken for a tourist company. 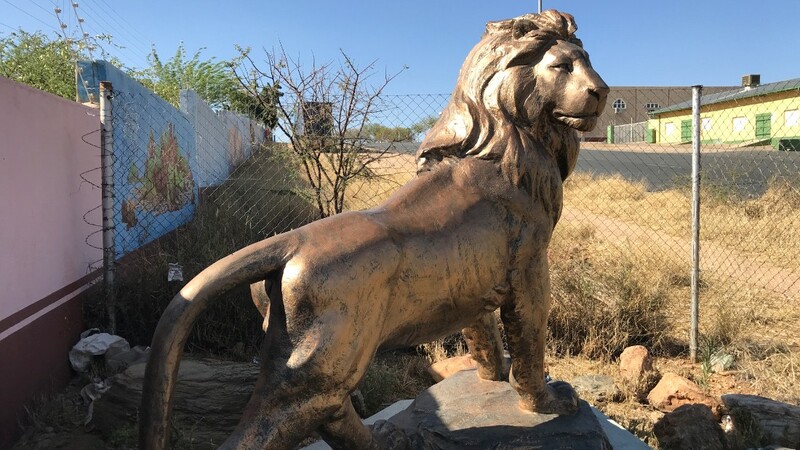 A statue of a lion outside the warehouse in Namibia. But CNN’s review of title deeds show that the property was sold in 2004 to Mansudae for around 1.6 million Namibian dollars (about $120,000) and the North Korean company still owns it. And it seems Mansudae’s headquarters was active until just weeks ago. Johann Karstens, the manager of a nearby tire manufacturer, told CNN he would come most mornings to see what was going on with his unusual neighbors. “There were only men in the compound living and working,” he said. From the tire shop on a hill above the Mansudae’s property, one can see a sprawling complex of warehouses, vegetable gardens and greenhouses. In the garden, a scarecrow is raised on a post wearing the gray-blue uniform typical of North Korean workers. The warehouse just outside Namibia's capital. But there isn’t any sign of the North Koreans. “Two or three weeks ago I saw the last ones leave in a pickup,” Karstens said when we spoke to him in early October. Mauritz van Niekerk, a neighbor to the other side of the compound, corroborated that timeline. And she noted something else. “I would often see government vehicles going in and out,” she said, adding they had special government license plates well known to Namibians. For countries like Namibia, likely to receive at least $60 million in aid, the North Korean connections are particularly awkward. “We know that the activities that have been taking place in activities in which the Koreans are involved could not really be considered to be generating such a heavy amount (of money),” Namibia’s Deputy Prime Minister Nandi-Ndaitwah said. Nandi-Ndaitwah insists that Namibia has ceased all North Korean operations and all North Korean construction workers have left the country, in accordance with UN sanctions. Last year, the Namibian government-owned newspaper New Era reported that Namibian officials had met with UN counterparts in New York and had been exonerated. Nandi-Ndaitwah says that is a misunderstanding. “We continue to give our reports,” Nandi-Ndaitwah said. But Griffiths, the UN coordinator, disputes this. He says the UN panel hasn’t received responses from Namibia to specific queries for more than a year. “It is not enough to talk in the media. It is not enough to say you have been exonerated by the UN for North Korean sanctions violations because that is not true. The panel deals with hard facts — with evidence — and this is what we have been asking for many months now,” said Griffiths. 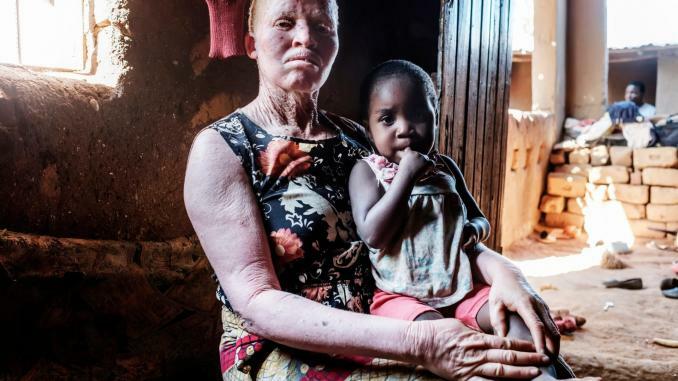 Of the other African countries named in UN sanctions reports, other than Namibia, the Democratic Republic of Congo, Uganda, Tanzania and Angola have yet to reply to inquiries, according to the panel’s annual report, which came out in February. But without an enforcement branch, the UN panel sometimes struggles to get answers from member states across the globe. “It’s a function of not being forthright and dragging your feet. All of those things give the opportunity for those types of governments to use plausible deniability,” said John Park, director of the Korean Working Group at Harvard’s Kennedy School of Government. Monuments and statues may be the most vivid of North Korea’s cash-earning enterprises on the African continent, but the relationship isn’t just aesthetic. 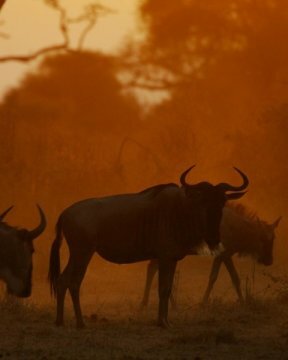 About a 40-minute drive south of Windhoek along a pristine asphalt road flanked by semi-desert scrub, just behind a series of hills, is a nondescript turnoff. This is the dirt road to Oamites, an old copper and silver mine that was converted into a military instillation. According to the UN panel, Namibia contracted North Korean workers and state companies to construct a munitions factory here — a clear violation of UN sanctions dating back nearly a decade. Griffiths said that his predecessor traveled to Windhoek in 2013 and was told that Namibia was complying with all UN resolutions. “In fact, at the time there was a large group of Korean workers building a munitions factory in direct violation of the resolutions. So they were being untruthful,” he says. Namibia announced that they stopped construction in June 2016. But the panel has not received confirmation from Namibia of the closure or proof that the workers have left. Namibia’s deputy prime minister claimed that all of the workers have left, but would not specify when. “Because as a member state we have to comply. And so we complied,” said Nandi-Ndaitwah. Namibia is hardly alone when it comes to employing North Koreans to build weapons. In the most recent UN panel report, which came out in September, investigators say that Mozambique and Tanzania are accused of contracting North Koreans to refurbish surface to air missile systems. After multiple attempts, Mozambican officials couldn’t be reached to comment on the allegations. Hassan Abbas, a Tanzanian government spokesman, denied the allegations. “Yes, we had some kind of relationship with North Korea in the past, but when sanctions came into effect we broke off all ties with North Korea,” he said. Uganda’s military spokesman readily admitted that they had military contracts with North Koreans, but said they have been terminated. 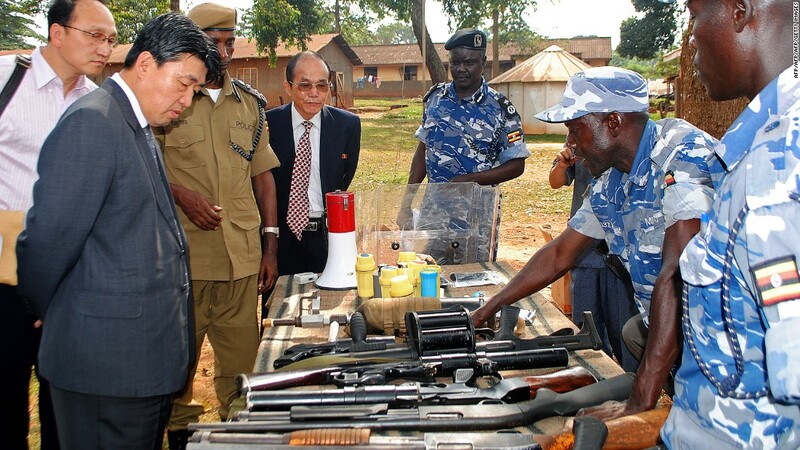 North Korean vice Minister of the the Ministry of Peoples Security, Mr. Ri Song Chol (second from the left) inspects weapons at a police training academy in Kampala, Uganda, in June 2013. North Korea’s relationship with Africa was forged with more than just bronze and bullets. Kim Il Sung, North Korea’s founding father, saw himself as a true leader of the global communist cause. And in the 1960s, Africa was fertile ground. “Kim Il Sung used to pride himself on being the man who was out helping revolutions everywhere,” said Rodger Baker, vice president at geopolitical intelligence firm Stratfor. 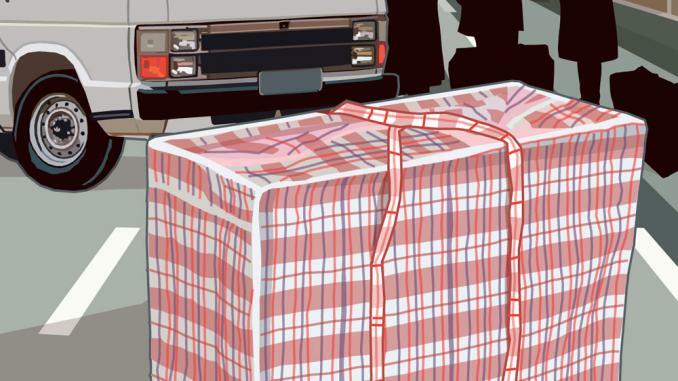 To foster these movements, the North Koreans provided money, weapons and military expertise. The Kim legacy in Africa continued with Kim Pyong Il — Kim Jong Il’s half-brother and onetime rival to succeed their father — who, as a military officer, was a prolific arms dealer in Africa, according to Park, of Harvard’s Kennedy School. And the Namibia government likes to make those historic connections clear as well. “Namibia had a long history of collaboration with North Korea. At the time of our independence, North Korea was among countries that have supported our struggle,” Nandi-Ndaitwah said. But times change. As the Soviet Union began to crumble, North Korea lost a key supporter and financier. That’s when Pyongyang began to call upon its embassies abroad to step up their business operations, according to Baker. African connections became less ideological and more transactional. They needed money. “The stuff that we really think of today, particularly statues and infrastructure development, things like that, really are the last 10 or 20 years. They’re very much post-Cold War elements of the relationship,” Baker said. When it comes to unsavory dealings like weapons sales, North Korea can fill a void for regimes that the US, China or Europe won’t deal with, Baker said. “There’s always places for the North Koreans to move and play outside of the places the US can really hit heavy with sanctions,” he said. Recent research show North Korea is pushing hard at frontier markets for desperately needed cash as China appears to get more serious about enforcing UN sanctions. With Kim Jong Un marching steadily toward a nuclear tipped ICBM, the US, Japan, South Korea and others are increasingly trying to squeeze North Korea wherever they operate. Japan has recently frozen Namibia’s assets for continuing to do business with North Korea. “It is self-evident. Stop the money and you will slow the programs,” Griffiths said. There are circumstantial signs that that is happening. In Windhoek, the vast construction site of the new Ministry of Defense headquarters, built by North Koreans, is standing idle. The Mansudae industrial headquarters CNN visited outside Windhoek is also quiet. 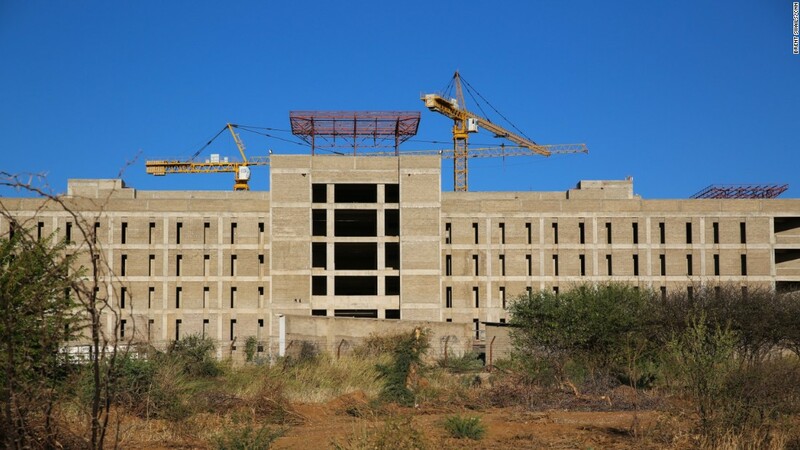 Namibia's Defense Ministry building sits incomplete. But Griffiths cites Tanzania as a cautionary tale, a place where programs slowed, only to start up again. And the UN and the US Treasury Department say Chinese companies have been known to take over projects only to subcontract them to the North Koreans. China has long maintained that they fully comply with all UN sanctions resolutions. Nandi-Ndaitwah, Namibia’s deputy prime minister said Namibia has invited the UN panel to come to investigate, but Griffiths and the UN panel want written proof and documentation from implicated countries in Africa, including Namibia. Otherwise, Griffiths says, the money could still be flowing to Kim Jong Un’s regime. “The panel has visited Namibia before and as they say, ‘once fooled, twice shy.’ We are not going back for some tourist visit. We need to see the evidence,” he said.